Hydraulic’s ever evolving brunch party takes place on Saturdays from 11 am – 3 pm. Currently, they have the Whole Hog Food Truck parked outside in the beer garden for your food hangover cure needs. But over the winter, BreadHive had a brunch residency where they wood fired bagels and put delicious stuff on top. 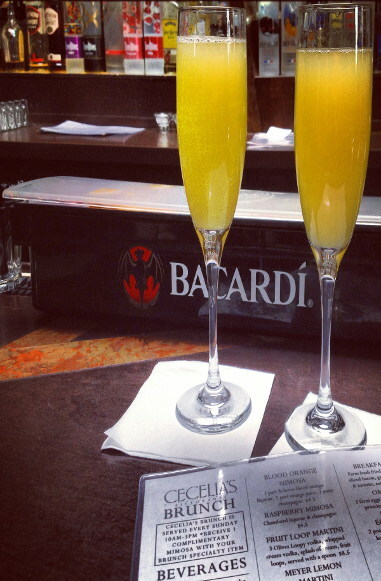 So basically, expect a revolving door of awesome when it comes to brunch at HH. Plus, they have a “Brooze” (brunch booze) menu that puts others to shame. Try everything. Also, drink responsibly. Good luck. Trattora Aroma has been on the top of my brunch list for quite some time due to the Bloody Mary menu they offer on Sundays. Yes, that’s right, an entire menu of just bloodies! 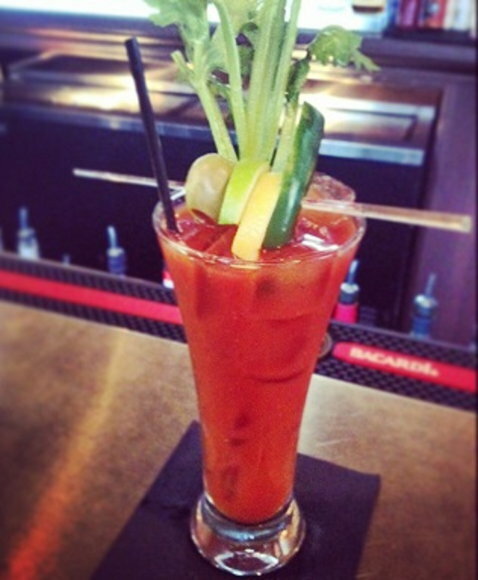 With options like the Aroma Mary, the Buffalo Bloody, the Hail Caesar and more, you can’t go wrong. I’ve tried almost all of them, but the Ragin’ Cajun takes the cake. 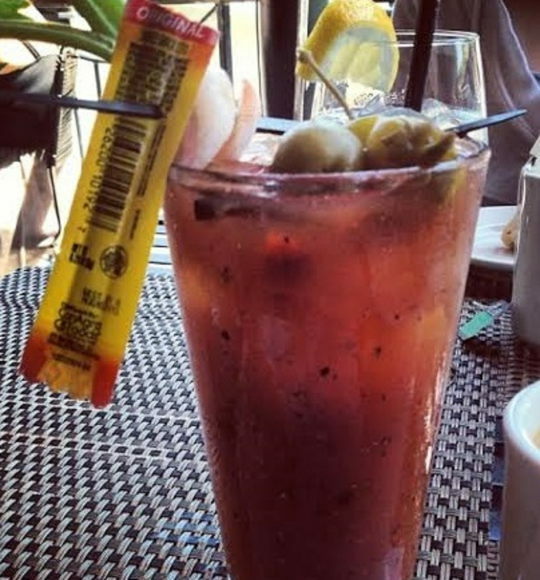 A blend of clamato, fire roasted pepper, and old bay seasoning topped with a garnish of shrimp, olives, celery, lemon and a slim jim sets this bloody apart from the norm. It’s spiced to perfection, not to mention topped with a snack. There’s no shame in munching while you wait for your actual meal. On top of having a bangin’ Bloody Mary menu, Trattoria offers a “for the table” portion of their drinks that serves about 4-6 people. This deal applies to the House-Made Bloody Mary (their own mix made from scratch), the St. Germain Cocktail (Elderflower Liquor, Prosecco and soda water), Mimosas (sparkling Prosecco and orange juice), the Brass Monkey (Ommegang Hennepin and orange juice), and the Snake Bite (Steampunk cider and orange juice). In case you need another reason to check out Trattoria Aroma, the food is delicious too. Brunch customers have access to a display of teas, coffee, petite pastries and muffins for free while waiting for their meal to arrive. The lobster scramble complete with sweet peas, tomato, ricotta, lemon hollandaise, and home fries or the breakfast bowl made up of crisp house smoked bacon, scrambled egg, home fried potato, broccoli, scallions, and cheddar really hits the spot! If anyone new to the Buffalo area asks me for restaurant suggestions, I always blurt out Panos. I obsess over their beef or lamb souvlaki, and especially their brunch. With sweet Mimosas and Bbloody Marys at any heat, the bartenders will hook you up. Their bloodies are always full of flavor and topped with ripe olives and a dash of salt and pepper. Pair that with the “The Fix” or “the Pano’s 2-2-2 Special,” and you’ll have yourself a winning combination. The fix is a mix of two eggs, scrambled with feta, in a grilled pita, served with home fries and the Pano’s 2-2-2 special includes two buttermilk pancakes, two extra-large eggs, and a choice of two pieces of Ham, Bacon or Sausage. Anything off of Panos brunch menu is considered incredible in my book! Sunday brunch at Betty’s is a sure bet to leave you feeling happy and satisfied. They have several scrumptious menu options including their Chilaquiles, “a traditional hangover cure in some regions of Mexico,” which is a casserole of eggs, corn tortillas, tomatoes, onions, jalapeño’s, zucchini and corn with cheddar/jack cheese with a side of fresh tomato salsa, salsa verde, sour cream and black beans. (Deep breath) Talk about filling! If you’re in the mood for a less extravagant option, try the fluffy buttermilk pancakes served with fruit and maple syrup, topped with apples or bananas and nuts. Pair a sweet meal with one of Betty’s sparkling cocktails made with Dibon Cava Brut Reserve and mixed with orange, cranberry, or French liqueur or make your own Mimosas using either a bottle of cava or proseco. 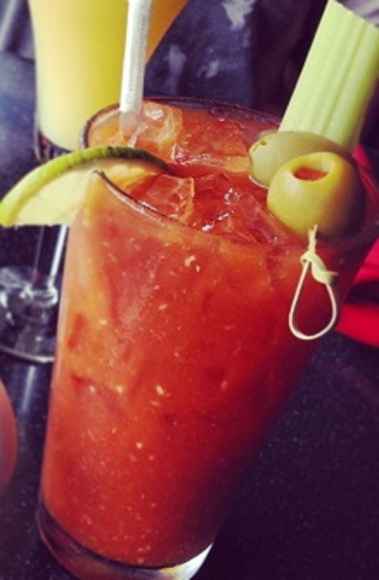 If you’re into savory breakfast, pair it with none other than a Betty’s Bloody. They’ve mastered the perfect ratio of ingredients, which is harder than it sounds. Providence Social is putting themselves on the Buffalo Boozy Brunch map with their Bloody Marys made from vodka infused with poblano peppers, rosemary, peppercorns and more glorious ingredients and $1 Mimosas. Personally, I enjoy mixing sweet and savory flavors when it comes to cocktail and meal pairings. The Bacon Belgian Waffle with honey maple cinnamon butter would tie in nicely with their bloody mary. The saltiness of the bacon, the sweetness of the maple cinnamon butter waffles, and the spiciness of the bloody is a killer combination. Pair a dollar mimosa (or 2) with the stuffed poblano and eggs, a blend of fire roasted peppers, aged cheeses, fresh herbs, stone cut oats, olive panko crust, two eggs, and Texas toast points for another sweet and savory option. Check out their new and improved back patio in summer months! Coles makes each individual Bloody Mary from scratch. Their recipe, created by Joe Lang, is a secret among the Coles bartenders and contains a confidential ingredient that differentiates it from all others. While we can’t exactly say what’s in it, we can say it’s good. 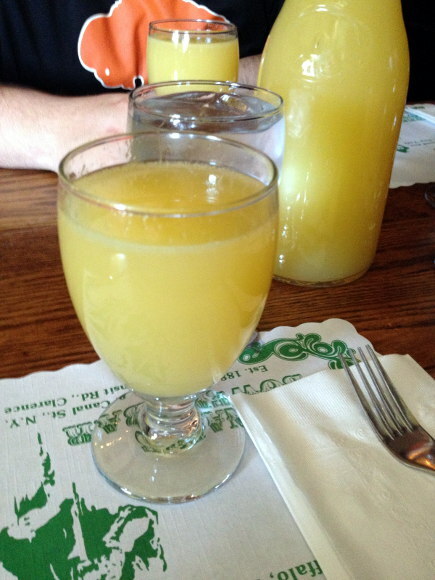 If you’re a Mimosa lover, Coles provides a carafe of mimosas for the table. As always, one should try not to drink on an empty stomach. Fill up with some of their tasty treats like the Smoked Salmon Scramble with scrambled eggs, smoked salmon, cream cheese & green onions served over a potato pancake & smothered in hollandaise or the 8oz Hangover Burger served with cheddar, bacon, fried egg & Bloody Mary ketchup. Quite a mouthful – in more ways than one. 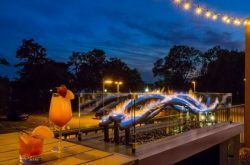 The Lodge started off with a bang when they transformed from Bayou to a refined, classy restaurant turned upscale nightclub after hours. 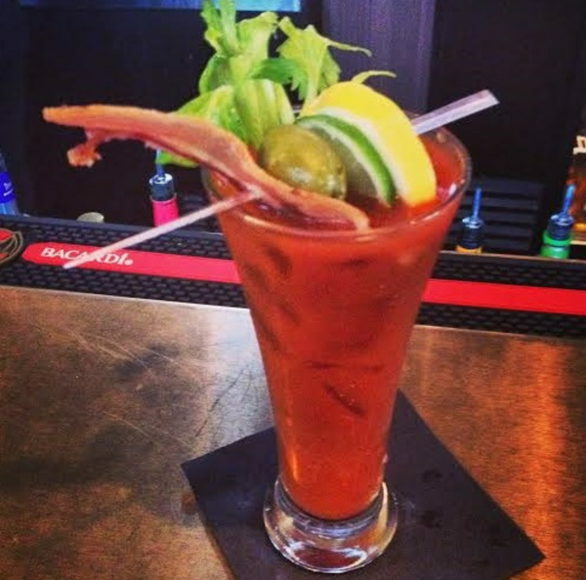 On top of all that, the bartenders are dedicated to perfecting the restaurant’s specialty Bloody Marys- the Jalapeño Bloody Mary and the Bacon Bloody Mary. The bacon (cured and smoked in house for 6-8 hours), habanero sauce, and flavored vodka come together to create some very crafty morning cocktails. Who wouldn’t want to devoir a cocktail topped with a crispy piece of smoked bacon? 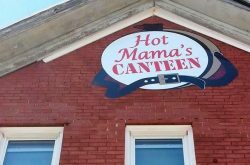 Pair that with one of their brunch specials like the hangtown fry with fried oysters and bacon, the fried chicken and waffle, or the three cheese kale for a delicious boozy brunch. Seafood lovers head to Cecelia’s for their delicious Crab & Lobster Benedict made with two crab & lobster cakes and topped with two poached eggs, tomato béarnaise & asparagus. Complement the tomato béarnaise in the Seafood Benedict with their Bloody Mary complete with a sliced cucumber garnish . If you’re in the mood for something sinfully sweet, try the Cannoli French Toast (Texas French toast, mascarpone cheese, candied pecans, and vanilla cinnamon syrup) paired with one of Cecelia’s sweet morning cocktails. 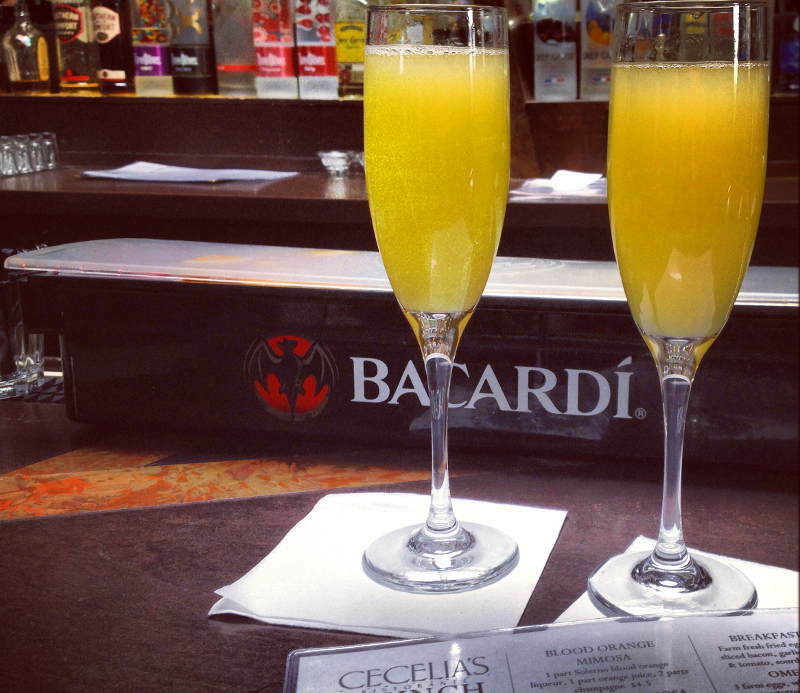 They offer bottomless Mimosas for just $6 with the purchase of a brunch specialty item. You’ll also find some creative cocktails listed on their brunch menu, including the Framboise Raspberry Lambic (a sweet Belgian beer), the Elderflower Mimosa (St. Germain Liqueur, champagne, and club soda), the Blood Orange Mimosa (Solerno blood orange liqueur, orange juice, and champagne), and the Raspberry Mimosa (Chambord Liquor & champagne). 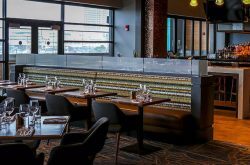 This summer Templeton Landing is offering Sunday brunch from 12 pm – 3 pm complete with a $10 Colossal Bloody Mary from their new bar cart (pick your own extravagent garnishes and bottomless mimosas! Their waterfront patio is one of the best places to nurse a hangover in true Buffalo style. Did we mention there will be Crispy Pork Belly Floating on a Cloud, Build Your Own Omelets and Ricotta Pancakes? Enough said. 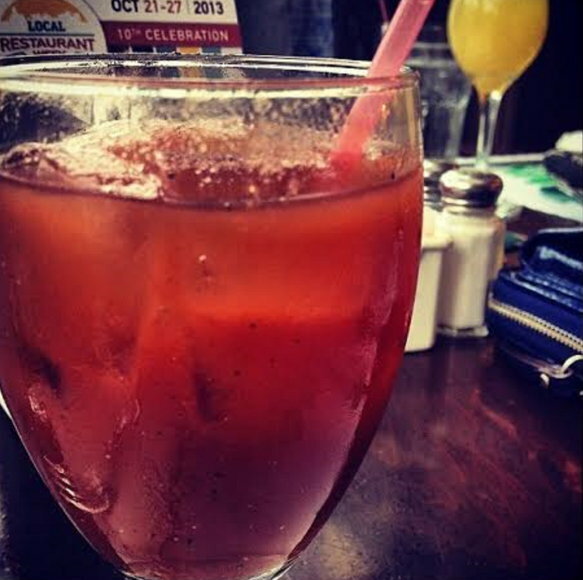 End your weekend with a bang (or rally for Sunday Funday) by trying one of these Buffalo boozy brunch spots! We promise, there will be alcohol involved. Think we missed an awesome Boozy Brunch option? Leave a comment or email us at info@stepoutbuffalo.com.